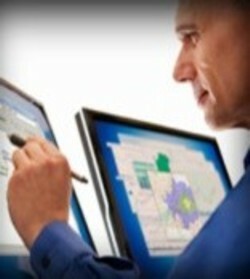 Pitney Bowes Software has engineered the 2010 US Census data provided freely by the US Census Bureau for use with MapInfo Professional®. This data set contains state-level information AK, AZ, CA, CO, HI, ID, MT, NM, NV, OR, UT, WA and WY gathered under Public Law 94-171 (PL94-171) and contains summary statistics on population and housing subjects derived from questions on the 2010 US Census questionnaire. This product combines the 2010 Census TIGER/Line boundaries in MapInfo TAB format with the PL94-171 data. Population counts, aggregated to several geographic levels, are presented for the total population and for the population 18 years and over (the voting-age population). This data is used in political redistricting, which is the process of drawing legislative boundaries of equal population counts consistent with the 2010 Census results. Tabulations of the population by race and Hispanic origin are also included.